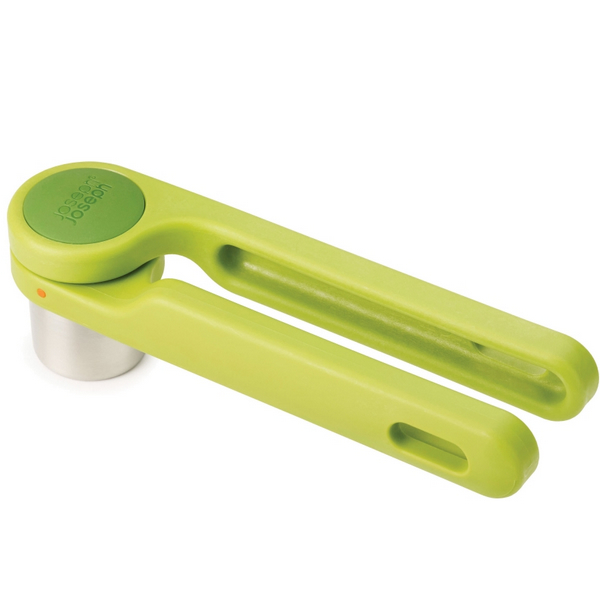 Make short work of garlic cloves with this easy-to-use garlic press, its unique twisting mechanism allows you to press with more power from less effort. Rather than having to apply lots of downwards pressure, the horizontal twisting mechanism makes it more comfortable to handle. 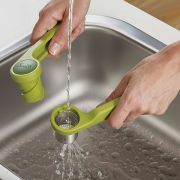 Made from stainless steel and nylon this crusher can be easily seperated for cleaning and can crush multiple cloves saving time. There is also a juicer and ricer available in this range.